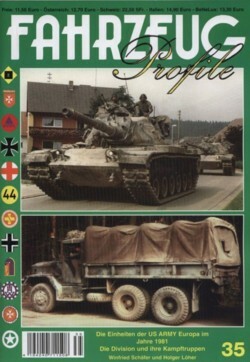 The picture booklets of this series are covering a special subject each. 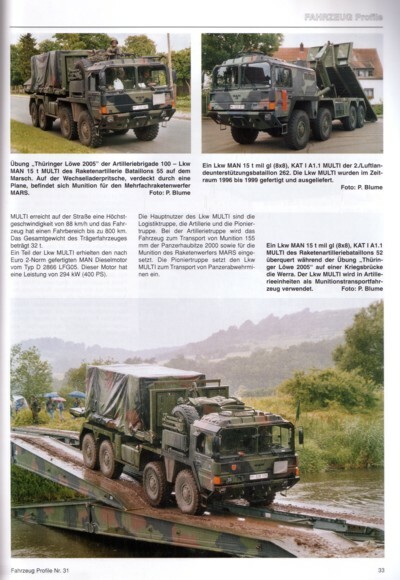 They show about 100 photographs, most of them in color and medium size, vehicle sketches, technical data and (if the booklet covers units as subject) illustrations showing the vehicle types in service with a unit. 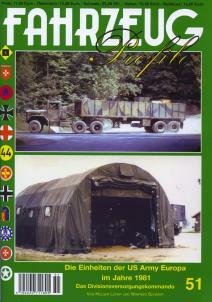 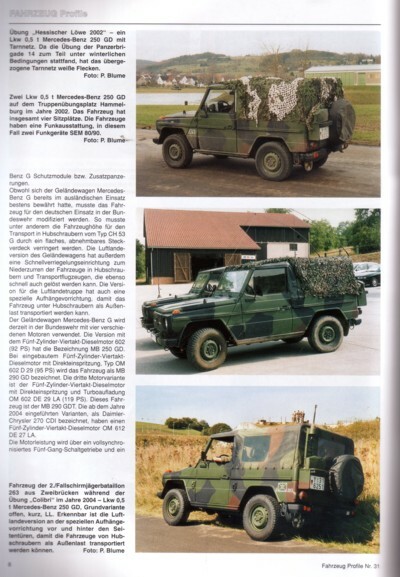 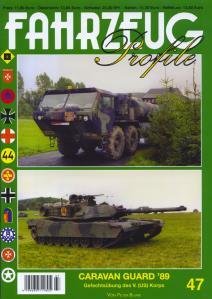 The short captions give an overview over history, service and the equipment of the units/technique and service of a vehicle type. 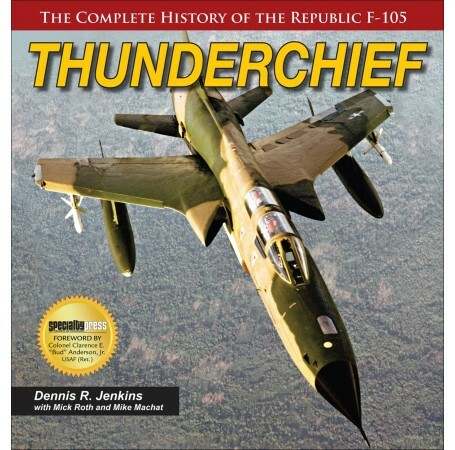 This volume exclusively shows color images!